Tinted concrete sealers are rapidly becoming famous in homes and commercial areas. They are very cost-effective, durable, easy to apply and provide protection to concrete surfaces. They are vital when it comes to restoring the dull or faded exterior and interior surfaces. Also, tinted sealers can be added to low-gloss, wet look, and high-gloss sealers. Furthermore, they leave a translucent finish that doesn’t hide the imperfections of the concrete. Why use a tinted concrete sealer? Read this Tinted concrete sealer reviews to find out the top rated tinted sealers on the market. Related: What is the Best Concrete Sealer? Applying a tinted sealer is very easy, and it will enhance various surfaces such as concrete pool decks, walkways, driveways, paver, and patios. In addition, they’re good at resisting UV rays, and they won’t flake or peel. 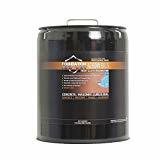 If you’ve desired your neighbor’s tinted patio and are looking for the best-tinted concrete sealer, then you have come to the right page. This is a professional grade and non-yellowing concrete sealer that will change the appearance of your concrete. 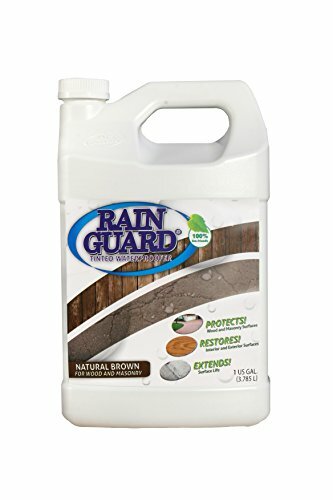 Foundation Armor AG brown tinted sealer will not fade, peel or flake. When properly applied, the sealer will leave behind a beautiful, durable, and brown tinted semi-transparent high gloss finish. Furthermore, the AG brown sealer is very easy to apply with the help of a sprayer or roller. It will only take you a few minutes to apply and dries within one hour. The 5 gallons of the sealer can cover up to 100 sq. ft. in one coat or 500 sq. ft. in two coats. The greatest feature of the sealer is that it can be used on concrete and masonry to cure and seal. So, it is very versatile and can be applied to various surfaces. Unlike other sealers that conceal the appearance of the rock, this one will enhance its looks for a gorgeous concrete driveway or patio. The natural brown waterproofer for wood and masonry is a quality sealer that will protect your surface for a long period of time. It is made up of silane/siloxane formula, which is very durable and performs outstandingly. The sealer is enough to cover a large area of your concrete surfaces such as the driveway, patio, walkway, and pool deck. It approximately covers 60 to 300 square feet per gallon. This depends on the porosity of the surface. In addition, the brown tinted sealer is not as dangerous as other sealers as it has low VOC formula. Even a DIYer can apply the sealer as it is very easy to coat and dries just within 1 to 2 hours. The manufacturer recommends applying the tinted concrete sealer on cold weather with temperature of 40 degrees or below. The deep penetrating sealer will leave a lasting impression on your concrete surface that will be admired by your guests and neighbors. On purchase, the user as well gets a 10-year satisfaction guarantee. Choosing a high-quality and reliable tinted concrete sealer is no easy thing. We spent hours researching and comparing different tinted concrete sealers before we landed on the best two above. 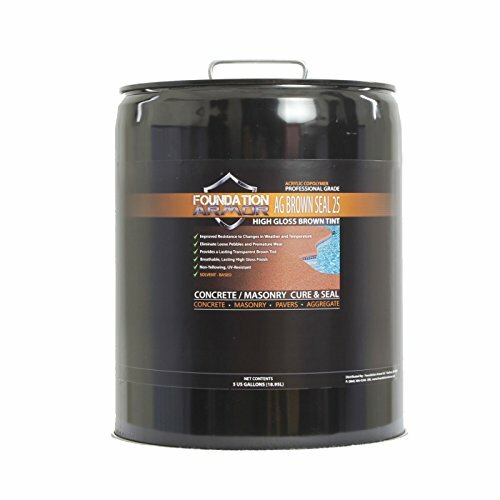 The Foundation Armor brown tinted sealer and Rainguard International Brown tinted concrete sealer are very easy to use, durable, and provide the much-needed protection from damage caused by elements. Go for the tinted concrete sealer that you think meets your needs and is within your budget. Q. What is the best way to clean concrete? Ans. The state of your concrete will determine how it should be cleaned before being sealed. It depends on the size of cracks, dust & particles on the concrete, and spills on the surface. If necessary, you can wash your concrete with soap and water as well. Q. How long should you wait to seal a wet concrete sealer? Ans. After it has rained heavily in your area or if you have thoroughly washed your concrete, you should wait for at least 24 hours before sealing your concrete. But also, follow the instructions provided on the type of sealer you’re using as some may need more time or less. Still, have a question after reading this Tinted Concrete Sealer Reviews? Comment below.